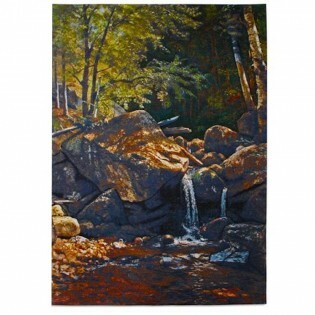 Thompson Cascade Waterfall Wall Tapestry depicts a gentle waterfall dappled in afternoon light as painted by Bierstadt (1830 - 1902), a German Luminist painter who later relocated to the United States. Bierdstadt is famous for his precise and natural rendering of subjects suffused in shimmering light. Overwhelmed by scenery during his travels to the West, Bierstadt strove to convey its beauty to residents from the east. Bierstadt founded the Rocky Mountain School of Landscape Painting. Made in the USA. 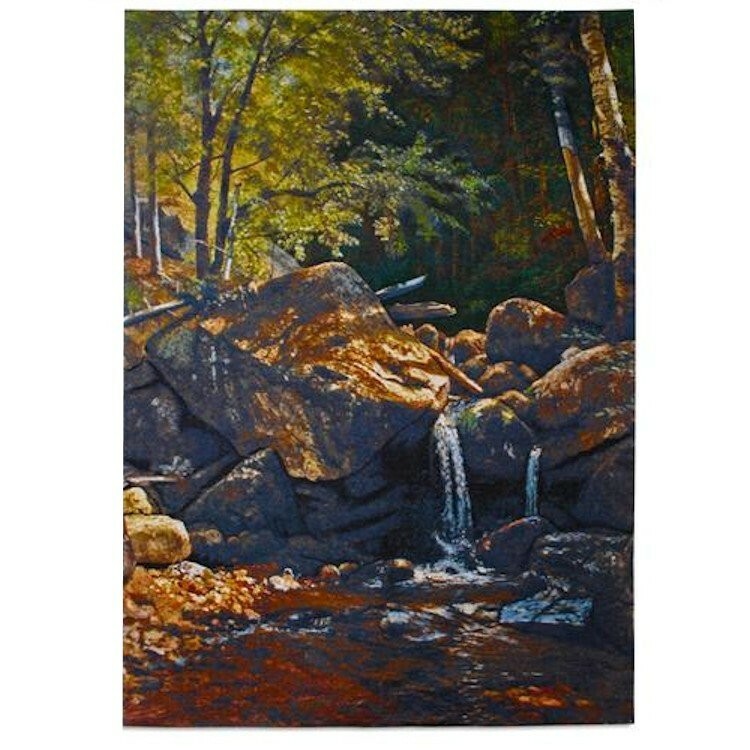 Thompson Cascade Waterfall Wall Tapestry depicts a gentle waterfall dappled in afternoon light as painted by Bierstadt (1830 - 1902), a German Luminist painter who later relocated to the United States. Bierdstadt is famous for his precise and natural rendering of subjects suffused in shimmering light. Overwhelmed by scenery during his travels to the West, Bierstadt strove to convey its beauty to residents from the east. Bierstadt founded the Rocky Mountain School of Landscape Painting.